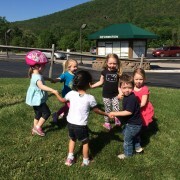 The Child Care Center at Bristol Mountain is a NYS Licensed Child Care Program which operates year round. Enrollment is currently available in the after school program. 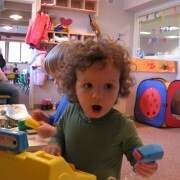 The Child Care Center is located on the main floor of the Sunset Lodge across from The Learning Center. 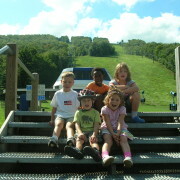 Children enrolled full-time in the after school program may learn to ski for free! Lessons are taught by our trained snowsports instructors and includes two one-hour class lessons per week starting the last week in December through mid-March. Child care at its best! 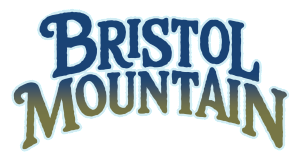 Call 585-374-1150 or email childcare@bristolmt.com to register or for additional information. Summer Program for Children First through 5th Grade. Come for a day, a week, or all ten weeks! With 300 acres in a beautiful, country setting, full use of Bristol’s facilities, and a long list of activities planned, your children will thoroughly enjoy their summer. Our spacious facilities will host the program for indoor and rainy day projects. Our theme is good care and good playtime where friends are made and respect is learned through playing with other children and interacting with the caregivers. Children may arrive as early as 7am and be picked up as late as 6pm. There is no additional fee for these extended hours. The main feature of each day lasts between two to three hours. The remainder of the day is spent on weekly activities. These may include rollerblading, bicycling, walks through woods, kickball, and lots more! Each day is filled with fun along with a different and interesting project. A happy, safe summer is what we are looking forward to. Rainy day plans include huckle buckle beanstalk, tumbling mats, sardines, and all sorts of fun things kids like to do when they want to stay dry. There are also plenty of tabletop games. There will be times when our activities will take us away from the base area. It is important that your child(ren) be here by 9:15 am or you accompany your child(ren) to the designated location. 48-Hour Advanced Reservations Required. Please call 585-374-1150 or fill out our online reservation form. Hit the slopes and let your kids enjoy some time in the Bristol Mountain Child Care Center. For ages 18 months to 12 years old. Skier Babysitting Services operate from December 7, 2018 through March 9, 2019 excluding Christmas Eve and Christmas Day. There is a 2-hour minimum charge paid at the time of the reservation and refunds are not issued for cancellations.